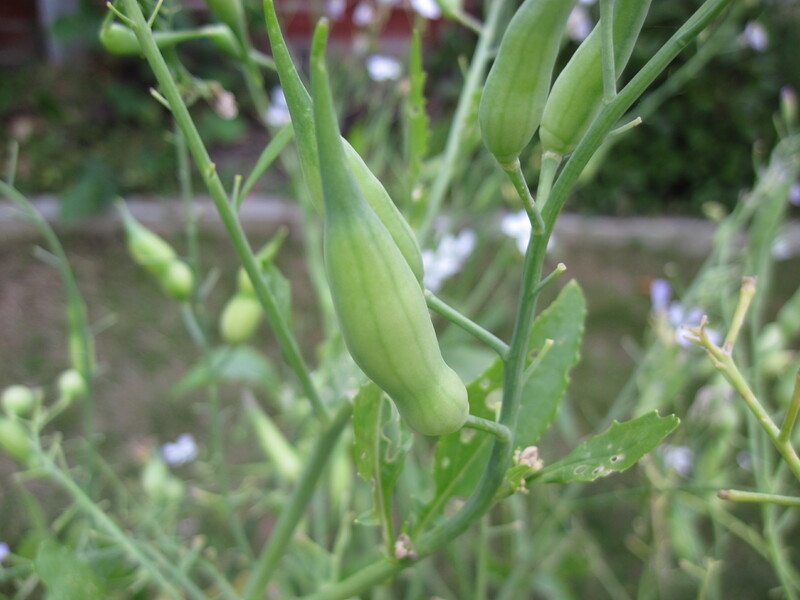 Radish pods tend to be grown from radish or mooli varieties that have been especially bred for this purpose. 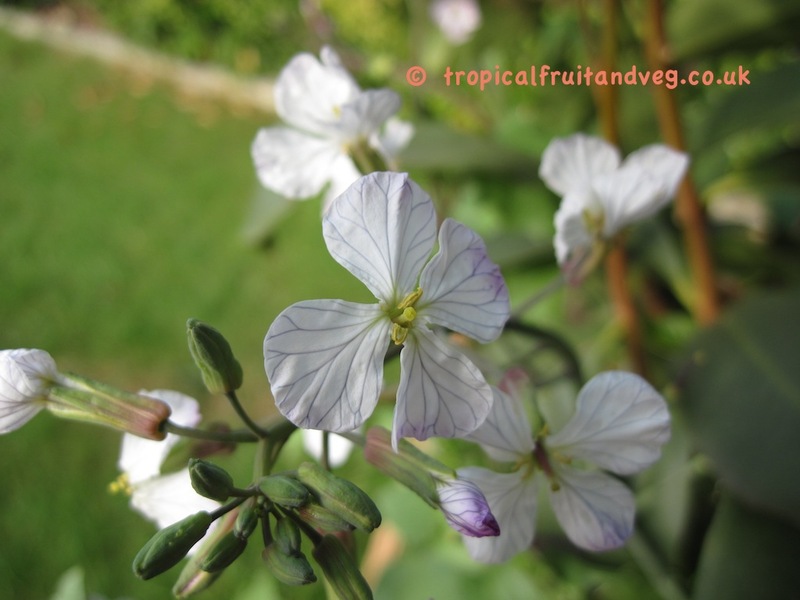 The pods will grow on branchlets flowers which are white with purple veins and 4 petals and about 2 cm in diameter. 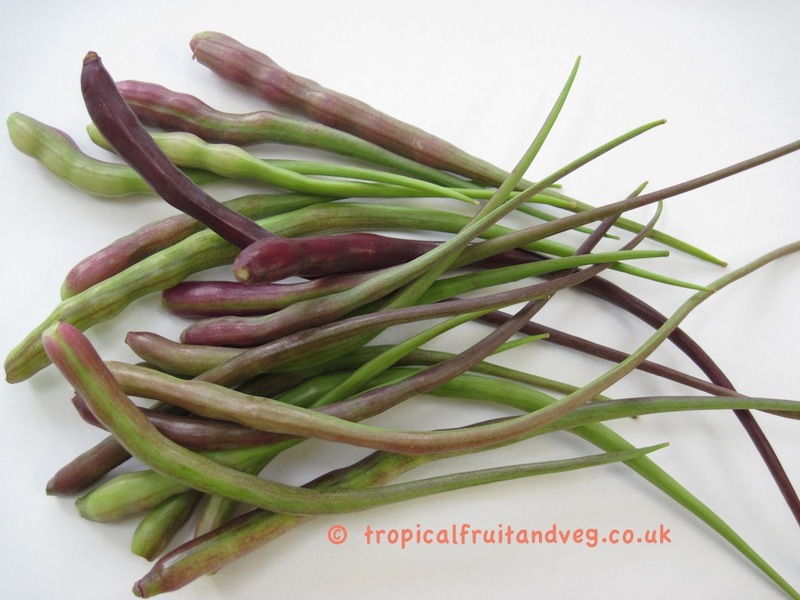 The pods themselves can be from a few cm to over 20 cm long and either green or dark purple. 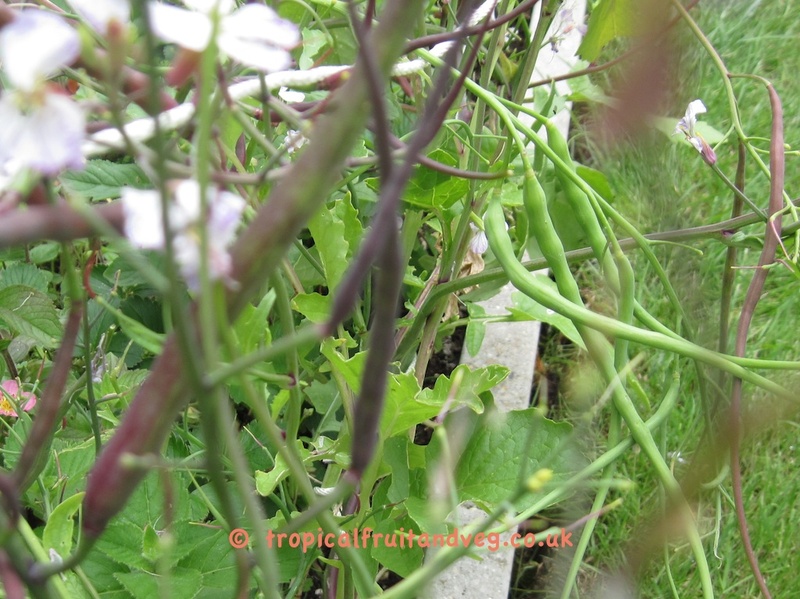 Radish pods are often used in salads, stir fries or eaten raw with meat. They should not be cooked too much as it reduces its fiery strength. 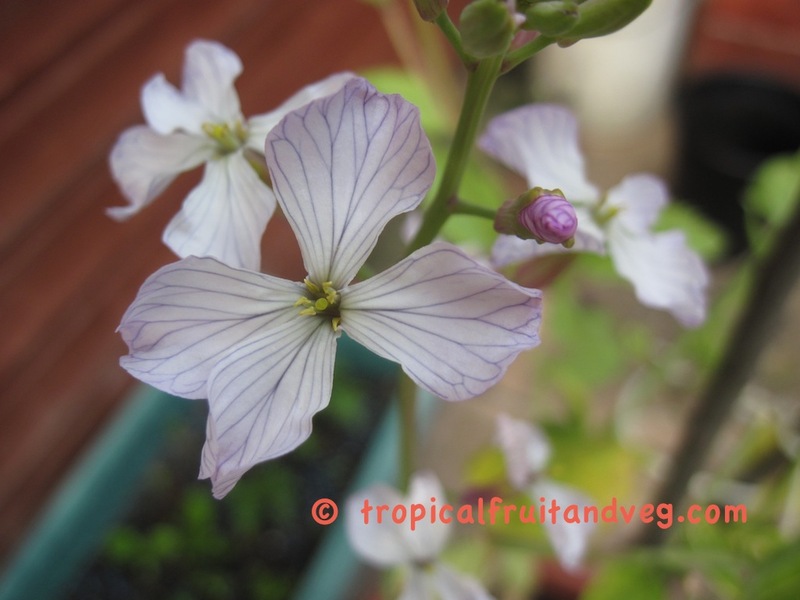 Mogri is similar to mooli and grows best in warm climates with occasional rain. It needs 2 to 3 months of high temperatures and good light and it does not grow well if temperatures fall below 10�C. Light deep soil with plenty of organic matter.